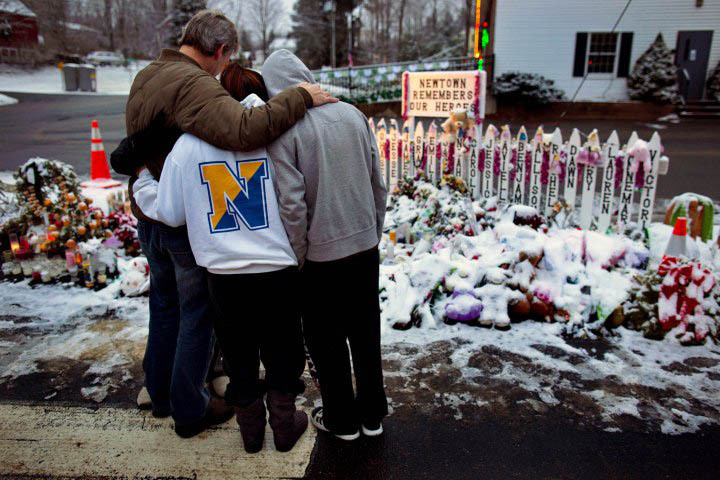 A month after the tragic murder of 20 children and six adults at Sandy Hook Elementary School, millions continue to mourn the horror of December 14th; pained moments and images forever etched in America’s collective soul and memory. For many, these stolen, precious lives have become icons for the broken hearts and shattered dreams from more than 1.2 million violent crimes committed in our homes, neighborhoods, schools, offices, churches, movie theatres, shopping malls and elsewhere each year, including more than 215,000 murders in the 14 years since teenagers Eric Harris and Dylan Klebold killed 12 classmates, one teacher, and themselves at Colorado’s Columbine High School. While mass shootings are most likely to capture the public’s attention, they are responsible for less than a fraction of one percent of those deliberately murdered in America each year. Yet the legacy of Sandy Hook for many is that there is no safe haven in a world full of beauty, meaning, miracles and, far too often, unspeakable cruelty disconnected from the compassion, decency, spirit and potential with which every human being begins life fragile and innocent. While each tragedy has its unique history and dimensions, there are also common factors in many violent crimes almost entirely disconnected from the focus of sweeping gun laws passed in New York this week, the executive orders and legislation President Obama will propose today, and the impassioned debates that have become the daily fodder of advocates fiercely determined to advance agendas and interests beneath the shadows of Newtown’s lost. Were the 37 killers who committed mass shootings from the time of Columbine, only one of whom was a woman, destined to horrific acts of senseless brutality? Including Harris and Klebold, 11 were 25 or younger, including eight who had not yet reached their 21st birthdays; five of these youngsters became their own final victims. Since 2010, just two of the perpetrators of mass shootings, both in California, were older than 40. Parents of the murderers are often left with questions that will never be fully answered. How could the sons they raised have committed such horrific, often last acts, of desperation and depravity? What did they do wrong? What could they have done differently? Sadly, there is no guaranteed formula, executive order or legislation that will entirely end violent crime in America. But there is much we can do as parents that is more likely to prevent our sons from growing up to be killers than the illusive finish line of the Congressional battles and national debate over President Obama’s proposed assault weapons ban, stricter registration and tracking requirements, and screening to limit the ability of people with severe mental illness to legally get powerful weapons of mass destruction. Seth Eisenberg is the father of three sons and President/CEO of the nonprofit PAIRS Foundation in Hollywood, Florida, an industry leader in marriage, family and relationship education.